If you love traveling and you love a good deal, then you should know that cheap flights are one of the greatest things in the world. You should also be intimately familiar with all the sites that offers the lowest rates on airfares. Most of all, you should know that traveling need not be expensive so you save on what you can just so you can book those tickets to a country on your bucket list. Loving good deals can be both good and bad. Apparently, there’s an art and a science to scoring the almost-mythical rock-bottom airfares, and there’s some truth to it. If you’re ready to learn new hacks for the cheapest flights, then read below. There’s a reason some airfares are more expensive than others—a lot of people take the same flight back home. This expected competition drives the airfare prices sky-high to incur more profit for the airline companies. Most people have no choice and choose to pay this ridiculous amount because it’s more convenient for them or because they cannot work around their schedule. If you have flexible hours at work, why not use it to your advantage? Instead of getting on the last flight home on a Sunday night, when a lot of people are expected, go for off-peak flights instead. No one wants to get on these schedules because they’re either super early in the morning or during Saturday night. There are websites that can determine which flights are the cheapest, so check those out before booking. Travel agencies often offer discounts and great deals on their social media. However, you need to be quick as these are up for a limited time only. It is better to follow, sign up, or subscribe to be immediately notified. There are social media accounts that are dedicated solely to exclusive deals, so give those a follow too. Just make sure that the pages are verified or, at the very least, legit. Here’s the secret to snagging promo fares early: think ahead. If you know where you’re heading to next, it can be easy to book your flights right away. If you see that your destination is included in the promo, book a flight as soon as you can to secure your seat on the plane. It may require you to book expensive tickets at first, but once you’re accumulating points, everything you’ve spent earlier will be made up for in free flights later. These programs also frequently offer exclusive discounts, deals, and promos to members only, so you have a lot less competition. Sign up for one or all frequent flier groups if you can, and discern which one offers the best before sticking with one. If you’re frequently browsing for the prices of flights on the internet, chances are, you intimately know many booking sites already. It’s not a bad idea to search for more so you’ll have plenty of options for later. While booking sites are great, there are times that airfare is cheaper when you buy directly on the airline’s website. If you’re an avid traveler and you’ve signed up on a frequent-flier program of your preferred airline, you are accumulating points for every flight. Check your points online, and see if you can buy or exchange points. Loyalty programs vary, so you may need to buy more miles before you can earn a travel reward. If you’re on a budget flight, chances are, you’re trying to save some cash. Picking the right luggage to take while simultaneously packing light helps out a lot. If you’re going away for a few weeks or even days, consider getting yourself a good weekender bag. A 20-kilogram checked bag can get expensive, so it is a good idea to prioritize what you need to bring. A weekender bag has the right size, weight, and dimension to serve as a carry-on. This way, you save money, and you don’t have to wait around the baggage carousel for your stuff to arrive, which means you can just go right ahead on your journey without any delays. There are so many airlines with various loyalty programs that it may take some time and experience for you to know their different processes. 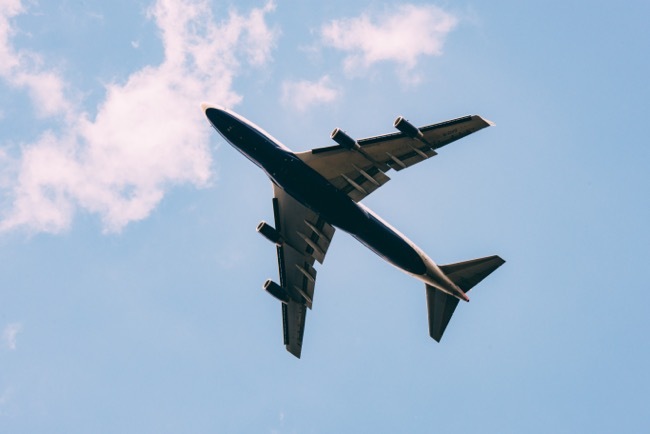 If you’re a person who really adores traveling that you make it a point to habitually scour flights and promos, then make a system of your own to catch deals for the cheapest flights. It may take a bit of trial and error, but once you get the hang of it, the thrill of it all will be worth it in the end as you go to your dream destinations for less.